The challenge of today's world economy calls for nothing but entrepreneurship. An enemy that has come to live with us is the problem of unemployment. In many countries of the world today, the number of job seekers have far outstripped the vacancies. The news is filled with unemployment figures galloping daily with job cuts, companies downsizing and various austerity measures. The only solution to this problem, as identified by economists, is entrepreneurship. Entrepreneurship is the process of identifying, developing, and bringing a vision to life. The vision may be an innovative idea, an opportunity, or simply a better way to do something. An entrepreneur is also viewed as an innovator. He introduces new ideas, new products, new techniques, opens up new markets, etc. The entrepreneur thus perceives business opportunities and takes advantage of the scarce resources to use them. It is he alone who bears the non-insurable risk in the enterprise and directs the human and material resources toward his business objective. Skill acquisition, on the other hand, is getting all the necessary training and experience needed to successfully carry out a trade or business. A lot of organizations are out there that offer such training. You can take advantage of modern technology, where almost everything can be done from the comfort of our homes. A lot of online skill acquisition programs are out there for free, or where you pay a few bucks and learn anything of choice. A good example of such website is Alison. That you have a college degree does not prevent you from acquiring more skills for business activities. From the stories of the world's most successful men and women, we discovered that they are not people who sit in one place, from morning to evening waiting for some monthly salary. Rather they are people who took up the challenge, get the necessary skills and embark on worthwhile ventures. Such people are the real entrepreneur. And anyone including you can be. You can acquire skills and become the owner of your own business instead of roaming the streets going in search of non-existent white collar jobs. You can harness your innate abilities and talents for your own betterment. Whatever it is, there is nothing as more rewarding and fulfilling like having your own business. Why not start today, acquire some relevant skills and embrace entrepreneurship. Here, I want to introduce to you four skills you can acquire right away and become a business owner in the manufacturing industry. This is an opportunity to learn how to produce ink for whiteboard markers and sell to schools, colleges and other institution of learning in your locality. This is a lucrative business opportunity, as you may already know, almost all schools and other institutions of learning in our locality today are using whiteboard marker. And the imported ink and markers are so expensive. So, if you can produce your own, sourcing all the required ingredients locally, you should be able to subsidize your price and get a good patronage from schools and other institutions of learning. 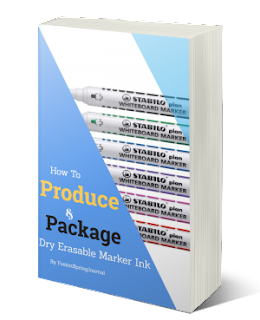 An ebook, Step by Step eBook Guide to Whiteboard Marker Ink Production, will help you achieve that. It's written in a way that anybody can understand. That you don't know anything about chemicals is not an issue. You will get a detailed information on all the required chemicals, where to buy them at a very cheap price, and a detailed explanation of how to formulate the ink to get the desired results. This ebook cost only a paltry sum of NGN2,499. Yes, with just NGN2,499 you can learn a skill that you can build a business around it and achieve financial freedom over time. To learn more about the ebook, you can check the page, Step by Step Guide to Whiteboard Marker Ink Production. With this ebook, you can learn how to make bread and set up a small bread making business at home or in the community. No big or sophisticated equipment required. You can run the business all from your home kitchen. In this bread making guide, you are going to learn everything you need to know to make bread, ingredients, their functions, how to select proper ingredients and the right measurement to make your bread the best quality. You will learn everything about methods and procedures involved in bread making. In this guide, you will learn different bread making recipes, the things you should do for your bread to be different from any other bread around in your community. You will learn the details of baker's percentage, function and role of different ingredients in bread making and how to score your final product for quality assessment. You will learn how to create variations, different types of bread fillings into your bread, using one dough to create different kinds of bread, etc., This step by step guide will open your eyes to basic food costing, troubleshooting in case you run into challenges with your final product, and so much more. How much is this ebook, you may ask? With just NGN2,500 you can acquire this skill and be on your way to financial freedom through production business. There is nothing as worthwhile as having your own business. 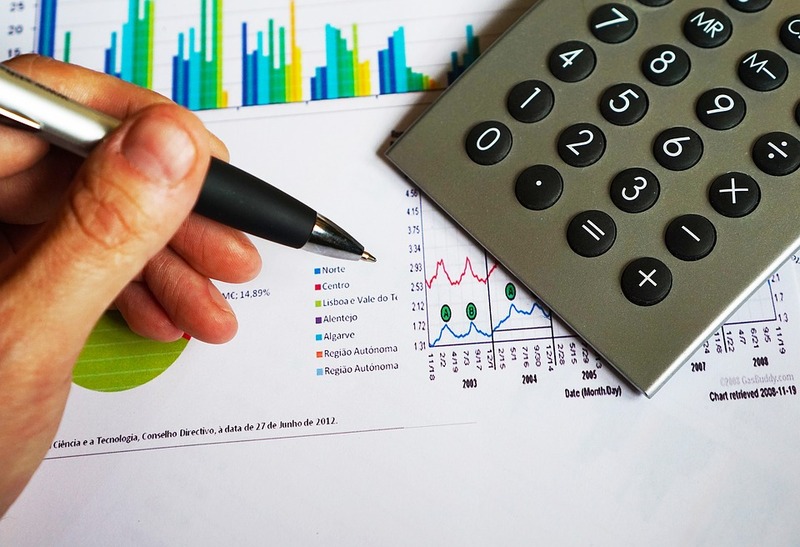 Get this guide and set up your business today. 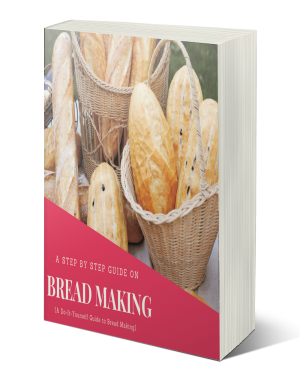 If you want to learn more about the ebook, you can check the page Step by Step Guide to Bread Making Business. With this guide, you are going to learn how you can start and successfully run a Mini Importation Business in Nigeria with as little as NGN10,000 or even less and turn it into a thriving business that will generate huge income monthly, all from the comfort of your bedroom. In this business, there is no need of business premises; you have nothing to do with customs procedures; you don't need huge capital before you start. What's more, you'll learn the best-kept secret of successful importers. That you don't have startup capital is not an issue. In this guide, I will show you how you can easily import from China and from other parts of the world completely risk-free using the concept called O.P.M meaning other peoples' money. 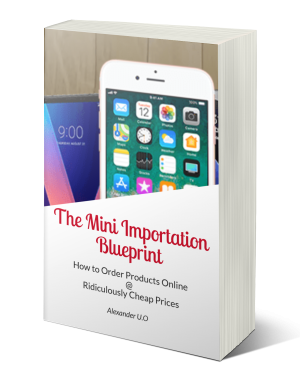 You can learn more about the ebook here in the page Step by Step Guide to Mini Importation Business. With just NGN2,999 you can get this ebook and start a thriving business with little capital, a business that has such a huge profit potential that can set you free from financial worries in no distant time. You can learn how to make different types of paints with the detailed Step by Step Paint Making Guide. 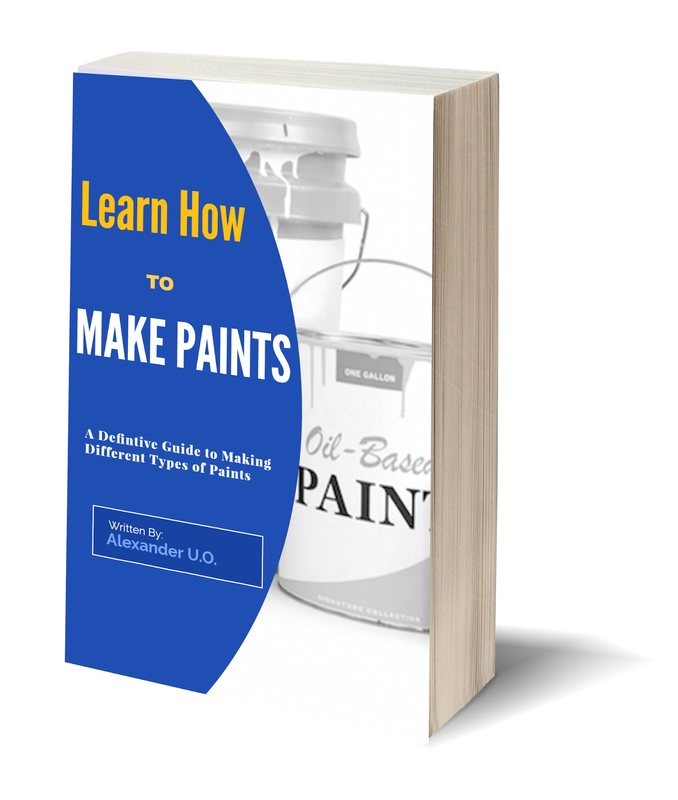 With this guide, you will be able to make different types of paints such as emulsion, rough and smooth textcoat paint and nylon or satin paints. It gives the detailed step by step guide, the different chemicals and their functions, everything you need to know about paint making. Paint production is a thriving business, and it's a business you can start with little capital and be on your way to attaining financial freedom. With just NGN2,000 you can get this guide today. 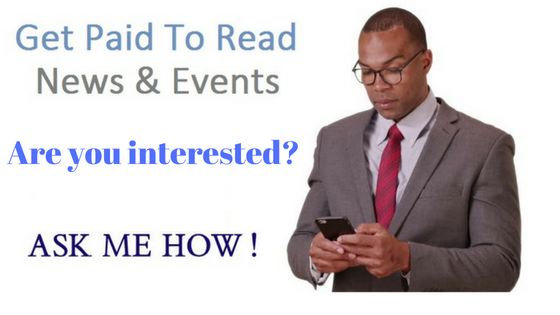 For a limited time period only, you can get all the ebooks here for a paltry sum of NGN5,000. This is an offer you cannot afford to miss. If you are to buy each of these ebooks separately, you will spend a total sum of NGN9,998. But for a limited time of just 5 days, you can get all these books for just NGN5,000. Remember after the 5 days expire, the offer will be taken off. So, act now that the offer is still available. Note: If you don't need the four books or you are not having sufficient funds to get all the four now, you can still buy anyone that is your choice of business. 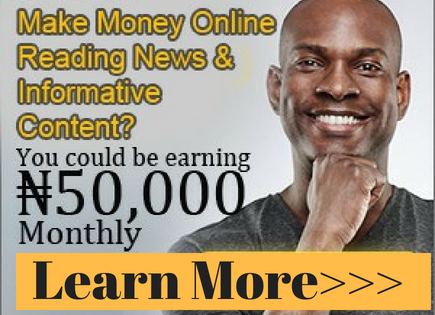 Just get one, acquire the skills, set up your business and be on your way to financial freedom. I wish you a rewarding endeavour. Make payment of the required amount to the following account details.